We offer various teeth straightening treatments at Eastside Dental. The Inman Aligner is an ideal solution for crowding or protrusion of the front teeth. It is an efficient and cost-effective way of aligning teeth and, in most cases, just one appliance is needed. It works by gently moving the front teeth into a better position. The Inman Aligner is safe and kind to teeth and gums. The straightening process takes 6-18 weeks to complete with regular appointments to review progress. The Inman Aligner is a removable appliance meaning it can fit in easily with your lifestyle. Once the teeth have moved sufficiently, you will be supplied with a retainer to maintain the position. Two clear bows in front and behind your teeth are activated by springs. These create a gentle pressure that guides the front teeth into their ideal position. The Inman Aligner applies only gentle pressure, so any initial discomfort is minimised. Most courses of treatment are usually complete in 6-18 weeks. Invisalign straightens teeth using a set of almost invisible, removable appliances that are made specifically for your teeth. These appliances are replaced every two weeks, slowly moving your teeth into alignment. 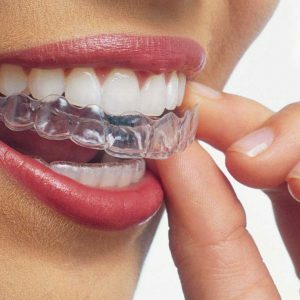 The appliances are comfortable, clear and removable and Invisalign is a treatment which has been undertaken by over 4 million people in the world.